Our Sage is always burning to purify NAP of negativity and to bring peace & harmony to our members and their families. Our people don't come in parts. Either you are Indian, or you are not. We really need to take a look at how Indian People are talking about Indian People. We say there are Rez Indians, Traditional Indians, Urban Indians and Breeds. This type of thinking will keep us separated. An Indian is an Indian, a brother is a brother, a sister is a sister. We are all related. The most important thing that determines who we are is on our insides, not our outsides. If we are Indian inside, that's all that matters. Being Indian means to think right, to be spiritual and to pray. Feathers and beads don't make us Indian. Being Indian means to have a good heart and a good mind. Today, let us respect ourselves and our people. Today, let us realize Indians are Indians. Going back to the old ways doesn't mean giving up electricity, homes and cars. It means living by the same principles, laws and values that our ancestors lived by. This will allow us to live successfully in today's world. The spirituality our ancestors lived is the same spirituality we need in these modern times. There are too many influences from TV, radio, newspapers, magazines and negative role models that are guiding our lives in a bad way. Our stability is in the laws, principles and values that our ancestors were given and that our Elders teach us. Our site is dedicated to the Native American culture. It's ways. It's teachings. It's music. It's people. We are here to teach each other and to learn from each other. We are here to share our lives with each other. There is no one tribe or one way here. As children of the old ways, we feel a strong connection to the past. To the way things were and are still meant to be. If we look back to the ancients and how they were so in tune and connected to the wonders of nature and our universe. We feel the pull of our ancestors and the ancients. If we open our minds we will see their vision of how our world should be. All of our choices and decisions will reflect on our people. We need to assume the accountability of honoring people. We must remember to conduct ourselves in a sacred way. Sometimes this is hard. We must remember we have the assistance of the Spirit World and we have the principles and values by which we should live written in our hearts. The Creator will help us develop into strong people if we just learn to depend upon Him. All indigenous peoples of the Americas are welcome here. 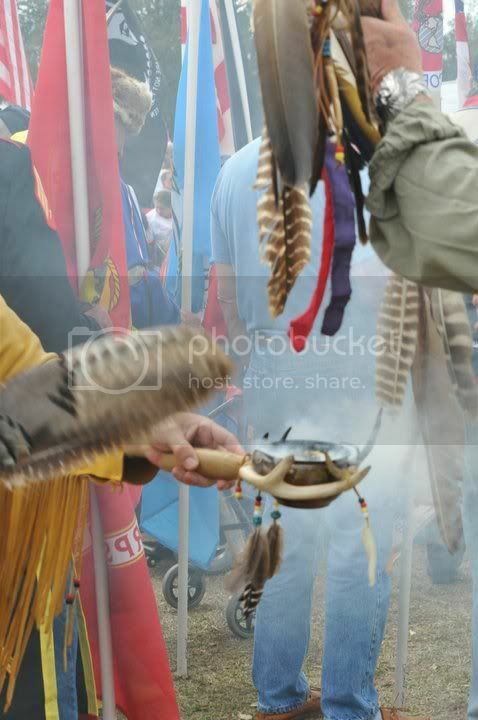 Please honor our Chiefs, Elders and Wisdom Keepers with virtual offerings of at least tobacco when greeting them. This is a family oriented site, so no foul language or abuse of others will be tolerated. Come join us and refresh yourself with brothers and sisters who have interests like yourself. Your children ages 5 through 17 are also welcome. Native American Prayer Oh, Great Spirit whose voice I hear in the winds, And whose breath gives life to all the world, hear me, I am small and weak, I need your strength and wisdom. Let me walk in beauty and make my eyes ever behold the red and purple sunset. Make my hands respect the things you have made and my ears sharp to hear your voice. Make me wise so that I may understand the things you have taught my people. Let me learn the lessons you have hidden in every leaf and rock. I seek strength, not to be greater than my brother, but to fight my greatest enemy - myself. Make me always ready to come to you with clean hands and straight eyes. So when life fades, as the fading sunset, my Spirit may come to you without shame. We are supporting both a pop-out chat and a full-page chat. If you want to give your chat some extra real estate but be able to dismiss it when you’re not using it. The pop-out chat works for both private chats and the network chat. Your posts are grouped together and will appear under the same timestamp, name, and avatar. You’ll see those timestamps after 1 minute of inactivity. This will probably be a real confusion-buster if you’ve left your computer for an hour or more and have come back to the conversation(s). When you want to privately chat with someone, you can simply click on their member name (either in the member list or in network chat), and a new private chat window will open up. If you’ve had prior conversations with that person (in the same browser), they’ll show up; you can continue where you left off. If you’re the recipient of a private chat, a new pane will open up on the left when someone starts a private chat with you. At any point in time, you can pop out a private chat window and even close it out (x) if you wish. The history of the chat will stick around, so don’t feel hesitant about closing out private chats. If you’re in a private chat and click on a member’s name, you’ll open up their profile page, which can be handy if you need to, for example, go further into a conversation and start a private email message. The number of chat windows you have open will depend on the size of your browser window. If you have a 50-inch browser (how awesome would that be?) you can go absolutely insane with the private chats. If not, you might want to use the pop-out version. Links will be preserved when you paste them in, and they will open in a new browser window, making it easy for everyone to quickly share links. Want to copy and paste parts of the chat? You can select, copy, and paste chat content. One other detail that you may like about chat is that you’ll see a small notification badge when in private conversation panes that are minimized. It will display the number of posts you’ve received from that person since you minimized that pane. Chat will work on an iPad or iPhone (as well as many other phones and devices). We hope you will enjoy the chat rooms. Hope to see you in chat! Sign up to chat on Native American Peoples. NATIVE AMERICAN PEOPLES SHALL ALWAYS REMAIN FREE TO ANY AND ALL MEMBERS. ~~~~~ To those who have expressed their desire to help NAP, contributions are accepted. +Chief Walks In Shadows created this Ning Network.